Although Jewish life in the Holy Land reawakened during the 19th century, photographs of Jews in Palestine and the life they lived there are scarce. Collecting photographs from the archives of the the Library of Congress, the Ottoman Imperial Archives, the New York Public Library, libraries in universities and churches around the world, and in families' albums, Lenny Ben-David provides a unique and visual history of the American fascination and dedication to a Jewish national home in the Holy Land. 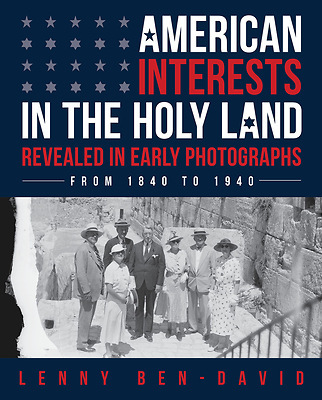 Photo essays include fascinating stories such as why Lincoln wanted to visit Jerusalem, how the U.S. Navy saved the Jews of Palestine in 1915, why the Chief Rabbi of Palestine visited the White House in 1924, why there was a Ferris wheel on the Holy Mount Zion, where did Mark Twain stay in Jerusalem, and much more.